New Zealand has voted to keep its current flag. The margin was 57 percent to 43 percent. The vote came in a nationwide poll that ended last Thursday. More than 2 million people voted. They decided whether to keep the British Union Jack on their flag or replace it with a silver fern. The current flag has been the national symbol since 1902. It was up against a new design. The new design was selected from more than 10,000 entries. The entries were submitted by the public. Those advocating change argued the flag was a relic of the nation's colonial past. They thought it was too similar to Australia's flag. But the other design failed to gain the momentum it needed to win. Many people liked the flag. Some began flying it from their homes and businesses. Others considered it garish. They thought the design was better suited to a beach towel. The vote had been orchestrated by Prime Minister John Key. He was an eager proponent of change. But some saw the endeavor as an effort by him to create a legacy. Others were put off by the cost. The cost was 26 million New Zealand dollars ($17 million U.S.). In the end, the vote represented a rare political defeat for Key. He has won three straight elections and led the country for eight years. He said, however, that every schoolchild had become involved in the debate. He said this had been good for the nation. He said he was proud to see so many flags flying over recent weeks. He said he would now support the current flag even though it wasn't his first choice. Organizers said deciding the issue by popular vote represented a world first. In contrast, other countries change flags by revolution, decree or legislation. Opposition leader Andrew Little said the next time the flag issue will be discussed will likely be after Queen Elizabeth II dies. It will be part of broader debate about the nation's constitution, including whether it should become a republic. There are only a few reasons why this could have happened.One reason is that it was their flag since the 1900's!Another reason could be it was their favorite and they liked it.The last reason this could have happened is that the old flag is a lot cooler than the new one.These are a few reasons why this could have happened. The people of New Zealand voted and decided to keep their flag. The vote came in a nationwide poll that ended Thursday. More than 2 million voted and Fifty-seven percent of them decided to keep the old flag. They decided to keep the British Union Jack rather than replace it with a silver fern. The flag has been around since 1902. The new flag designs were chosen in a contest open to the public. Even with more than 10,000 new flag entries submitted by the public, the old one was decided on. 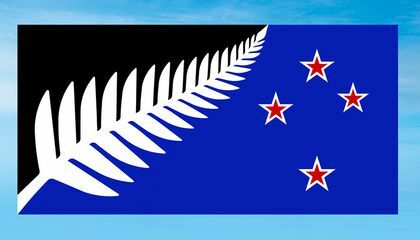 New Zealanders decided to keep the old flag because more people liked the old one and the vote supported it. The Prime Minister, John Key, was an eager proponent of flag change. Many thought the Prime Minister was wasting money trying to change the flag. The cost was 26 million New Zealand dollars ($17 million U.S.). I think it was a good idea to keep the old flag. The old flag preserves the history of New Zealand. In addition to this, it saves the citizens money. Even though the new flag designs were brought by a contest contended by the general public, New Zealand still decided to keep their original flag design, that they have to using since 1902. It was not a very far apart voting, but more so relatively close. "The margin was 57 percent to 43 percent." New Zealand had a very successful voter participation where "More than 2 million people voted. They decided whether to keep the British Union Jack on their flag or replace it with a silver fern." I found this article very interesting and cool because the community was allowed to part-take in a government decision, and it wasn't just a vote. The community had the right to help design what could've been a future national flag design, which if I had the opprotunity, I would not take that for granted. 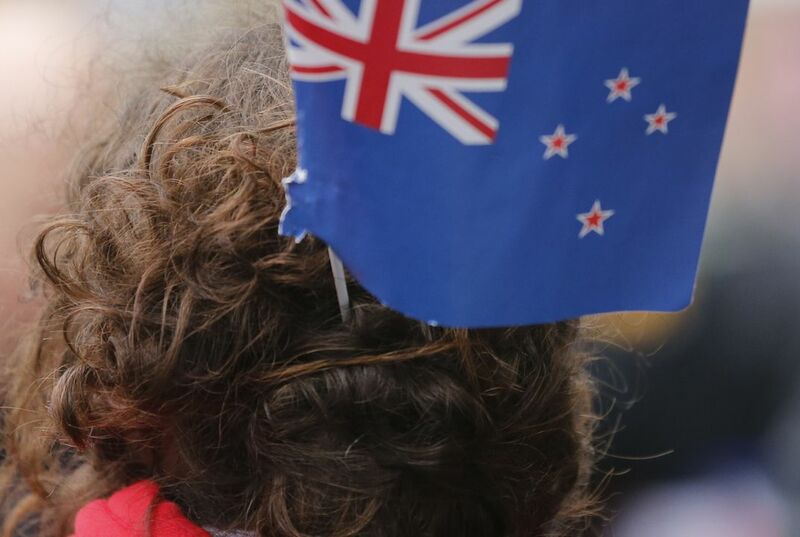 The people of New Zealand decided to keep their national flag rather than change it because they felt that, not only is it merely the most attractive design, it is too iconic to replace so suddenly. Everyone recognizes the traditional flag already due to it's age-old presence in media, and to completely scrap this iconic design would be too confusing. New Zealanders decided to keep the old flag because the contest was just to see some likely ideas that the public could then propose. However the public then voted against all the flags nominated thus keeping the old and original flag. I think that it would be disrespectful to change a nation's flag, at least that is what I think about my home country's flag. I have a lot of respect for what it stands for but I can see the adjustment of stars to fit more states. The new flag was cool, I would have voted for the new one. Oman's flag has three colors, white, red, and green. White represents peace and prosperity and green represents fertility. Moreover, recalls battles against foreign invaders. Finally, the flag has the national emblem, a khanjar dagger in its sheath superimposed on two crossed swords in scabbards. I think it would have nice to see them get a new flag,but the one that use currently is just as nice and cool.